At the last minute I had to be my son’s taxi driver this evening, instead of my husband, and thanks to that I’ve missed the deadline over at Sketch Saturday, which this card was based on! I’m pleased to say I’m not too late for the Brown Sugar challenge, though, where the theme is Father’s Day. Most of this was from my stash, except for the Docrafts wooden letters. My (older) sister retires a couple of years early today. Jealous – me? How did you guess?! Anyway, I had an idea a while back for a card similar to this so I based it on the sketch at Freshly Made Sketches. 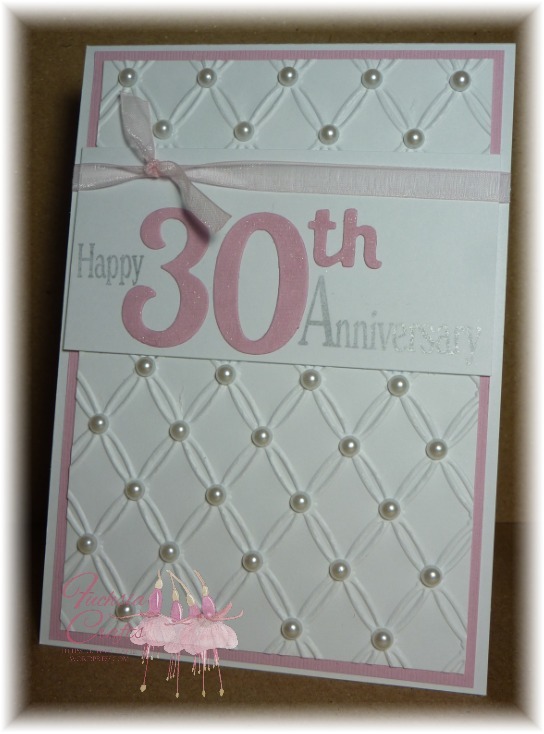 The text for the main image was created in Word, then embossed using a Darice embossing folder – it took numerous attempts to get the text to line up properly! 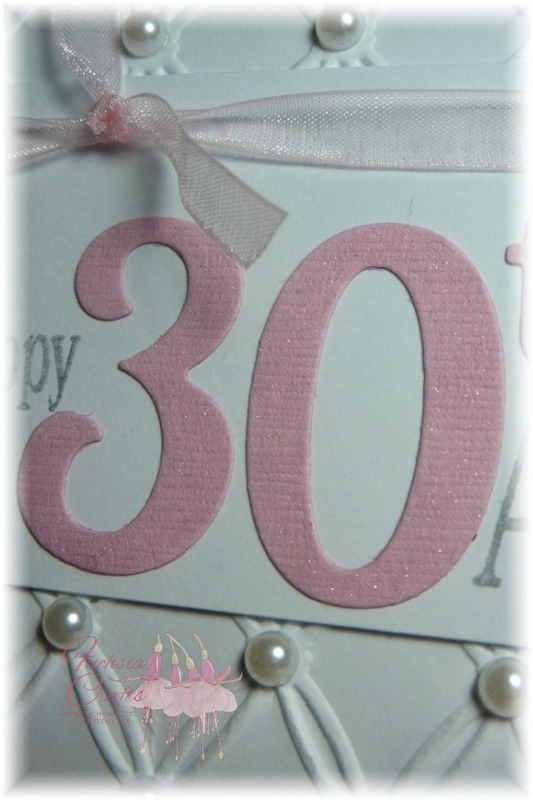 Then the top was die cut with a Clearly Besotted die. The background was the result of more playing with wax paper & embossing folders, inked with Distress Inks. The mini clip was from Tesco, and the greeting is by Crafter’s Companion. Now the only problem is how to fit it in an envelope! The Altenew Build a Rose set was free with a magazine the other week & I had to buy it, although these days I normally resist the temptation to buy a magazine just for the “freebie”! Of course, to use these stamps you need a set of 3 matching inks and I only had 3 inks that fitted the bill: Versamagic Aquatic Splash, Turquoise Gem and Ocean Depth so that dictated the colour scheme for this card. I based it on the sketch over at Kathy’s Waffle Sketch File; I’m also entering this into the tic-tac-toe challenge at The Paper Players, and I’ve gone for the twine/die-cut/girly trio. The background was created using the wax paper technique with embossing folders, inked with Evergreen Bough Distress Ink. The stamps are by Simon Says Stamp & Clearly Besotted, and the sequins were in my stash.